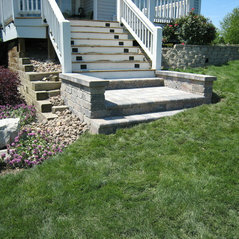 Landscaping not only makes a home look beautiful, it adds value. 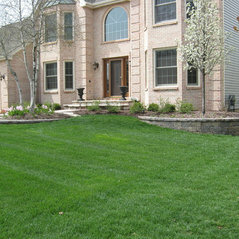 A professional landscape job can add 10% or more to the overall value of your home. At Whispering Hills, we pride ourselves on using only the highest quality plant material and workmanship on every job we do. Whether you want to tackle the project yourself or sit back and have the professionals do it for you, we offer a wide variety of services to enhance and create your piece of paradise. 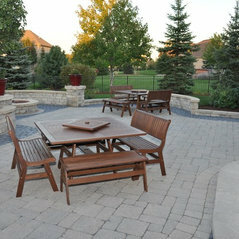 You work hard and deserve the relaxing setting we can create. Sit back and enjoy the serenity. Whispering Hills is a member of Unilock President's club and is an authorized retailer and installer of Unilock products. 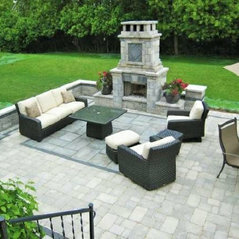 We install brick patios, walkways, driveways, retaining walls, seat walls, planter boxes, built-in grills, fireplaces, and full outdoor living spaces! 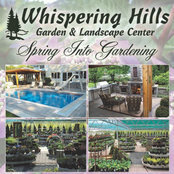 Whispering Hills Garden Center supplies only the highest quality plant material. 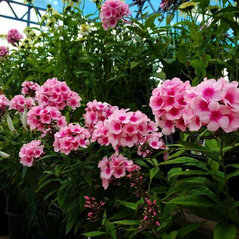 We offer several different varieties of mulch and we also carry topsoil & soil amendments. Our stone quarry has a huge selection of steppers, flagstone and outcropping, as well as many bulk gravel and stone products. We offer fountains, statuary, and outdoor decor in all shapes and sizes to add a touch of relaxation and tranquility to your yard. 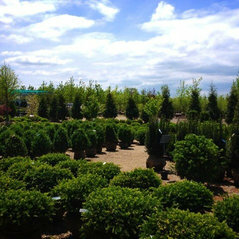 Stop by and browse our Full Service Garden Center for: Freshly Dug Trees, Shrubs, Evergreens,Bulk Mulch, Bagged Mulch, Topsoil, Stone Products, Annuals, Perennials, Herbs, Vegetables,Roses, Grass Seed, Fertilizer, Pesticides, Statuary, & Fountains. 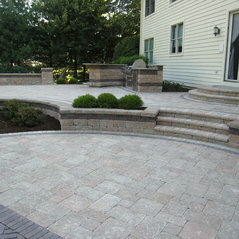 Services: Unilock Authorized Contractor and Retailer, Brick Paving, Landscape Design & Consultation. Celebrate the Holidays with Whispering Hills! 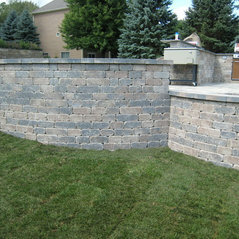 Kommentiert: What was used for the walls?5 ½ cut Fon Du Lac wall stone was used for this project. 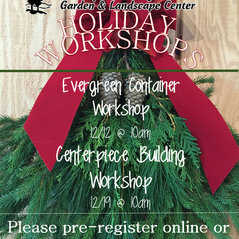 Please let us know if you have any other questions! 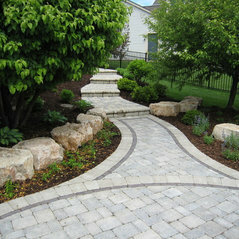 Kommentiert: Are these pavers permeable?The photo is of natural bluestone. 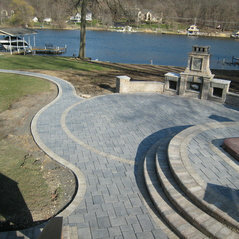 We do offer peremable pavers but not in natural bluestone. If you have any other questions, please feel free to let us know! Thanks! 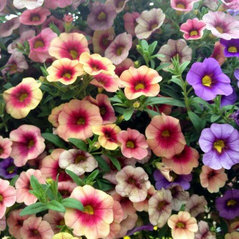 Kommentiert: What is the name and colour of the patio paversHi, thank you for your inquiry! 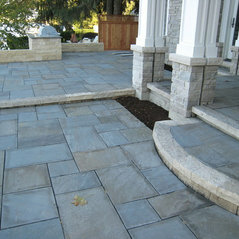 This product is Bluestone with a Natural Cleft finish and the color is Full Range.